We have been focusing a lot on learning digraphs in kindergarten. 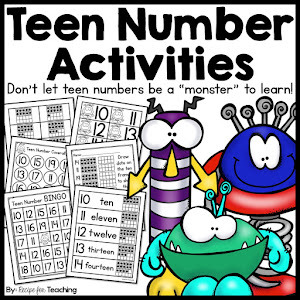 They can be tricky for young learners, but they are an important foundational skill to learn for reading. 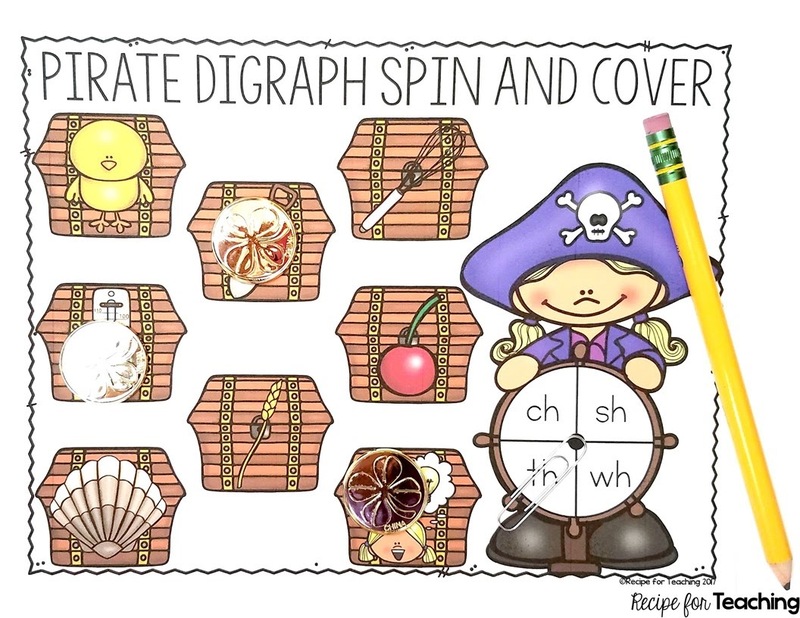 This Pirate Digraph Spin and Cover game will have your students excited about digraph sounds. My students loved it! 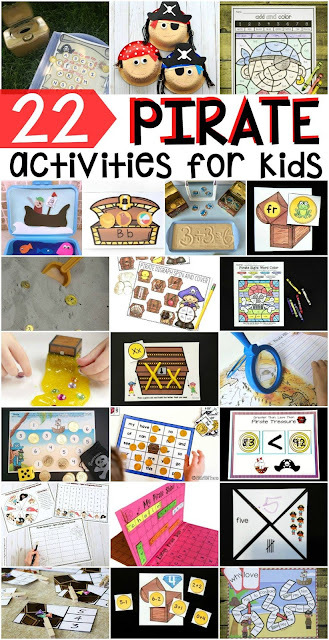 To prepare this activity I first printed the games on white cardstock. There are two versions of the game included in the download (found below). I printed 6 copies of each game board because I knew I would be using this game with my guided reading groups. I recommend laminating the game for durability. I also grabbed some gold coins to use to cover the pictures on the game board. This game has a spinner so I got a paper clip and pencil for my students to use as a spinner. 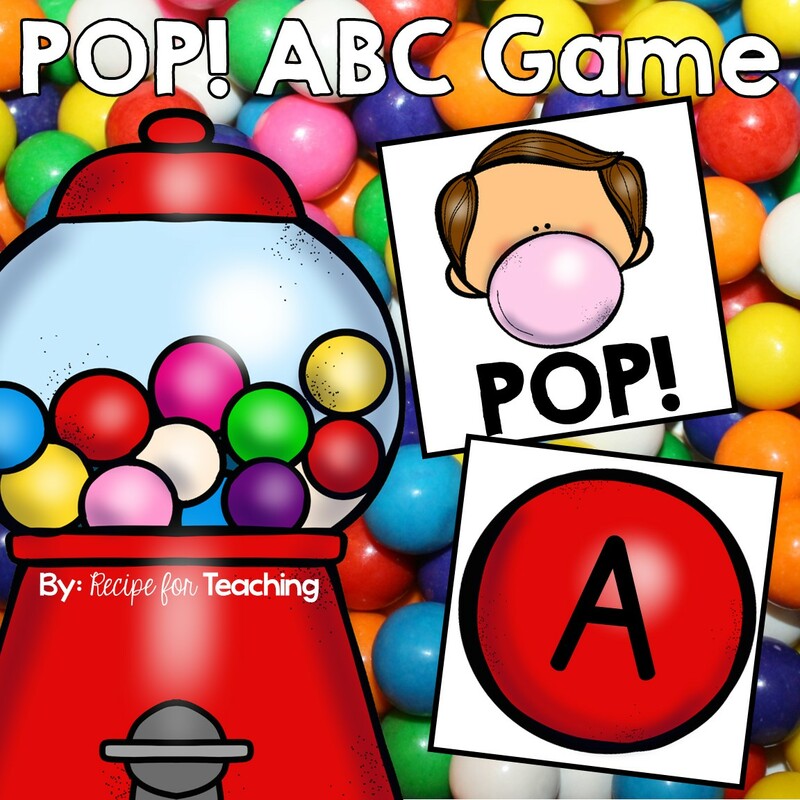 I used this game with my students in a small reading group. I like to start my guided reading groups with a word work activity so I used this at the beginning of the lesson. I first went over the pictures on the game board with my students and then we reviewed the sounds that ch sh, th, and wh make. After reviewing the pictures and digraphs with my students, we were ready to play the game! 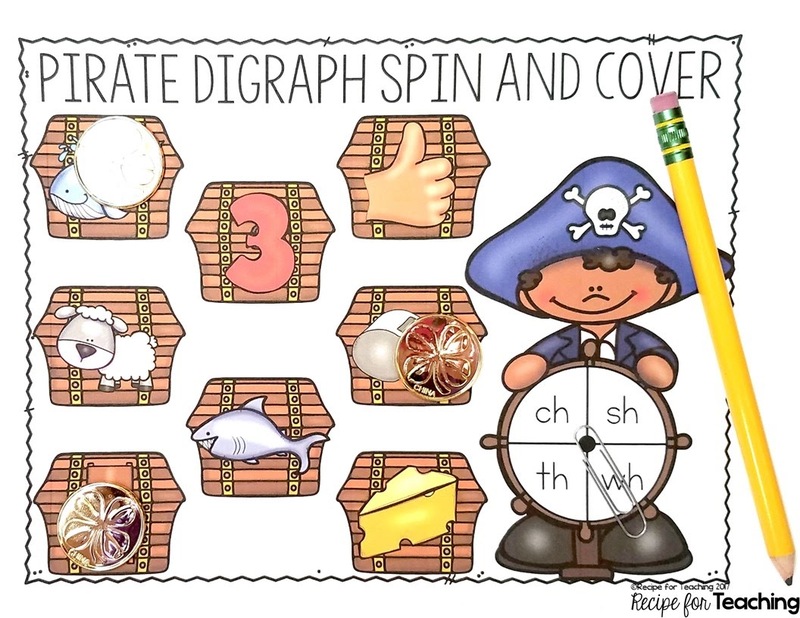 To play, students first spun the digraph spinner. 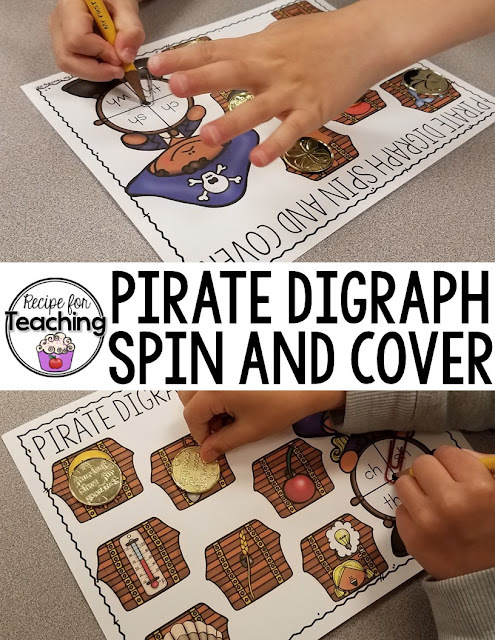 They looked to see what digraph the spinner landed on and then covered a picture on the game board that had that digraph at the beginning. Students repeated this until all pictures were covered on the game board. 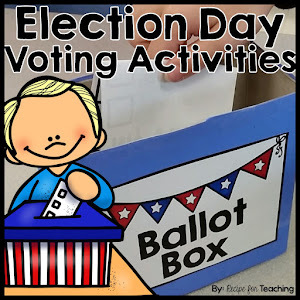 My students were SO excited about this game and they were super engaged in the activity! I let them choose which game board they wanted to start with and then as they finished they were able to trade for the other game board. 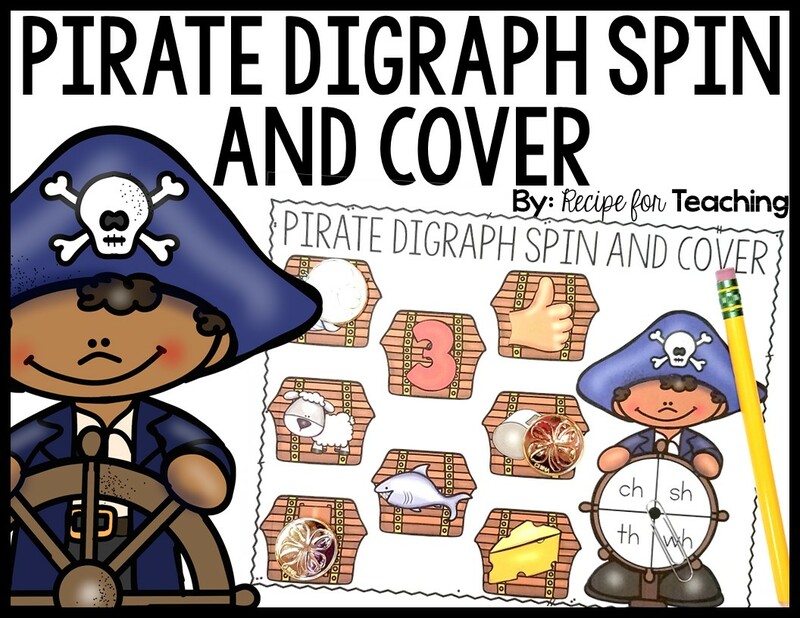 "ARRRRRRRR" you ready to check out some other fun pirate themed activities?! Be sure to check out these fun pirate themed activities from my blogging friends! Grab your FREE Pirate Digraph Spin and Cover game by clicking the image below!